Late March I had the opportunity to attend a presentation by Steve Schweitzer about fly fishing in Rocky Mountain National Park at my local fly shop, Hook Fly Fishing. Steve is the author of the book A Fly Fishing Guide to Rocky Mountain National Park. Being a huge fan of RMNP and trying to spend as much time as possible up there, I wanted to gather more information about fishing what I consider one of the most beautiful places I have ever been (and I am well traveled if I may say so). For a bit more than one hour, Steve moderated a slide show to a pretty good crowd and answering questions about the park, fishing, patterns etc. After the presentation, I had a nice chat with him about fishing the park and Tenkara. Steve has heard of Tenkara but not yet tried it. I think I talked him into giving Tenkara this year a shot and maybe fish together the park with Tenkara. 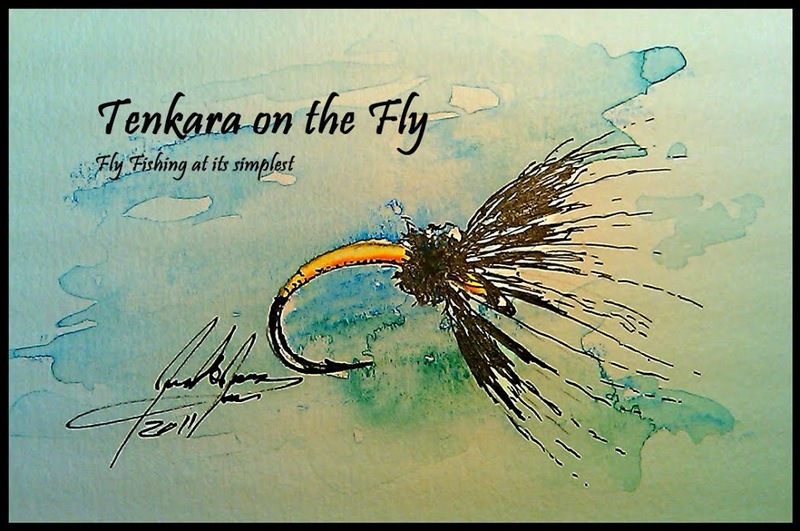 Recognizing that Tenkara is a very effective way to fish high country creeks, Steve might hopefully include some information about Tenkara in the next edition of his book. The book is very comprehensive, drawing from Steve's experience of more than 10 years hiking and fishing in RMNP. It starts off with some history, statistics, a hiking guide (including health & first aid tips) and other interesting and important facts about fishing RMNP, including the various trout species you can expect to catch. Then, Steve broke down the park into 8 geographical zones where he further describes each zone in detail and the fishing opportunities in rivers and lakes. The interesting aspect is that he organized each section by trails in that zone which makes perfect sense if you think about it. The trails info also includes a difficulty rating so that you can plan accordingly. The book closes with sections about fly patterns (over 120!) for both creeks and lakes, hatch charts and seasons as well as local fly shop information. This book is my bible for fly fishing RMNP and a "must own" for any serious fly fisherman considering to fish RMNP. The book is available for purchase on Steve's website here but you can also browse the book online for free! And if you haven't yet, add his website as bookmark to your favorites. Disclaimer: I am not affiliated with the author, publisher or any site that sells or promotes the book nor did I receive any compensation to review the the book. I bought the book on my own dime.